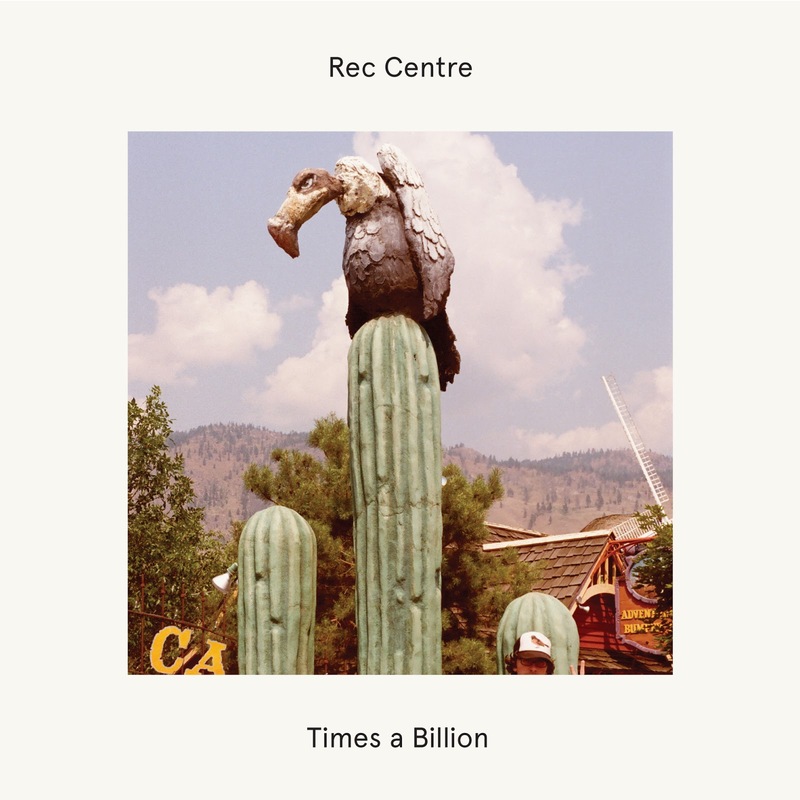 April 2nd will see the release of Times A Billion, the debut album from Vancouver's Rec Centre. The record is marked by short, sweet, slick indie pop nuggets. A bright propulsive beat cha-chas its way throughout the lead track "Missin' Out". Bright doesn't even approach doing justice to "Wait a Second". The song is like being blinded by a sunbeam. The band even manage to make a tune titled "Let's Get Divorced!" sound chipper. A melodic sheen and orchestral flairs help build the layers of the album. It works to create an impenetrable wall of delicious sound on "Look Alive" that sounds reminiscent of Treble Charger when they were still known as NC-17. Some electronic elements worm their way onto Times A Billion as well. They never form the focal point, but a distinct wah-wah warbles through "It Won't Mean Anything". On "Indisposed" it's more of a flash of mid-80s pop. Times A Billion checks all of the boxes for a summer listening recommendation. It's short, catchy, and fun. It deserves to be part of your cottage soundtrack. Best tracks: "Look Alive", "It Won't Mean Anything"